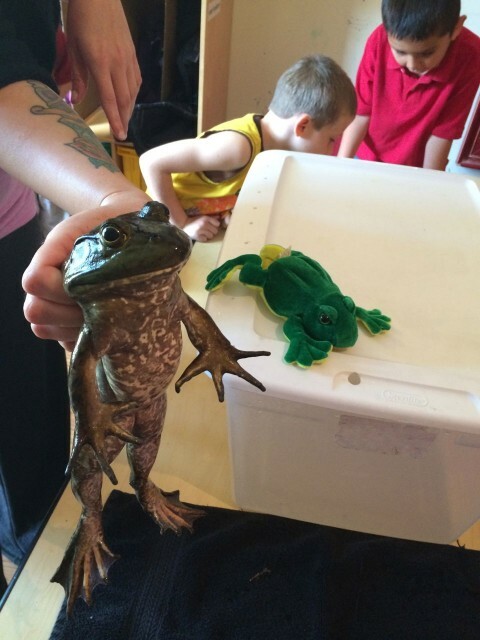 Did anyone else find themselves singing this song when I said we had a bullfrog visit ? 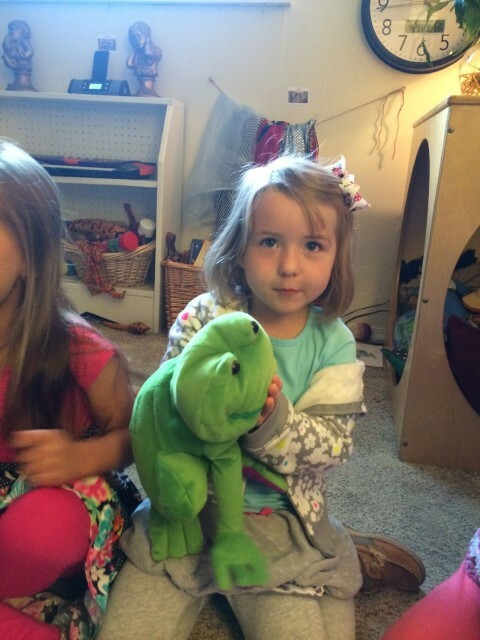 After breakfast today we went straight into circle time to read the story ” Jump, Frog Jump.” We used stuffed frogs to act out the story. We talked about what our visitor we were expecting might bring and how we should handle her animals. Shauna arrived with her son, Kaden. Not only is she adventurous and brave she is beautiful. Shauna went to school with Danielle so I knew of her and then I ran into her at the Christmas parade and we talked. One of us added the other on facebook and i figured out she has a small farm at her house. She has snakes, birds and even a skunk. Thankfully when I made my plea for pond animals last week she heard and rescued us – and in a BIG way. 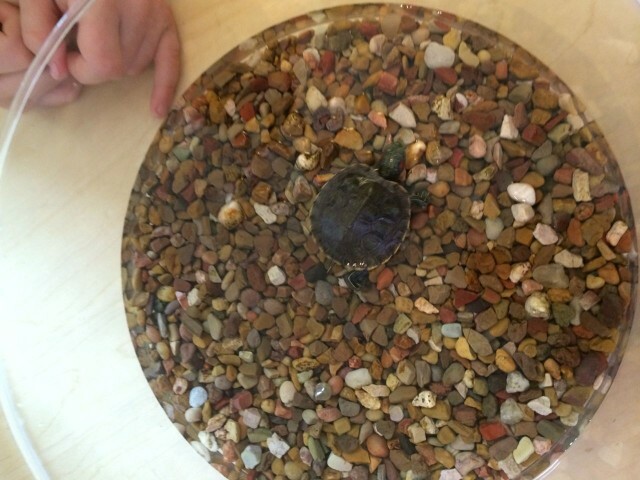 Today she brought a tiny turtle called a red eared slider. The kids loved how tiny the turtle was. Then there was a toad. 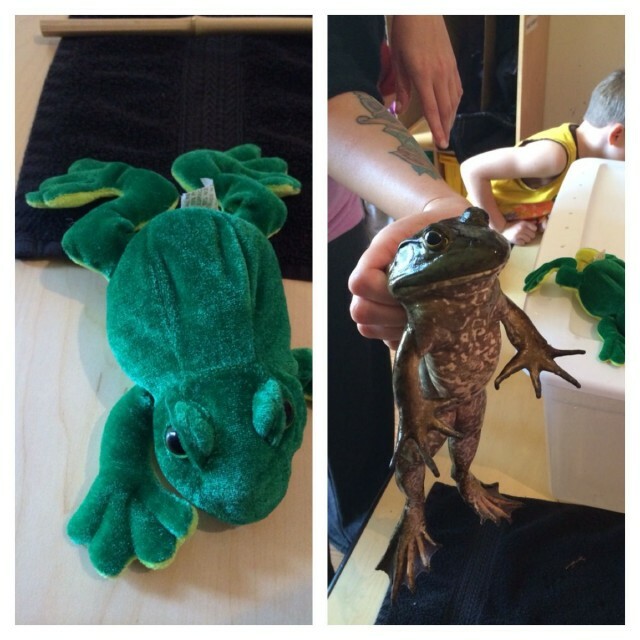 Shauna told us the difference between a toad and a bull frog. 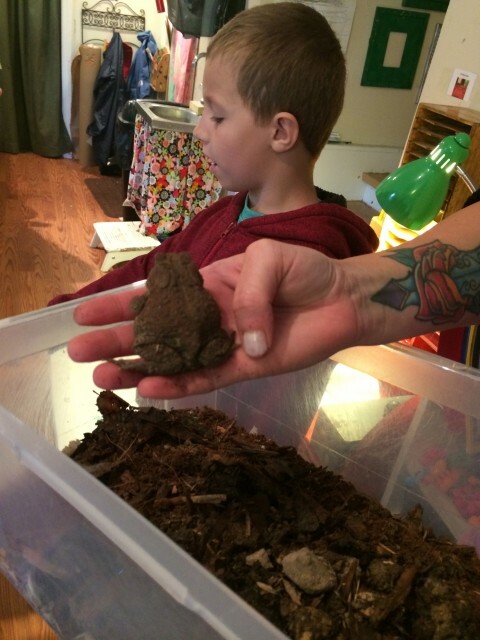 The toad lives on the land and she found it buried in dirt in her garden. We watched his little lungs expand in and out. The last animal she showed us was a small goose. He still had down. As the kids touched him gently he seemed to lay his head down and go to sleep. We were able to see how tiny his wings are . After Shauna left we came back into circle time for a few minutes and talked about the animals we saw and which ones we liked the best. Of course we graphed it. 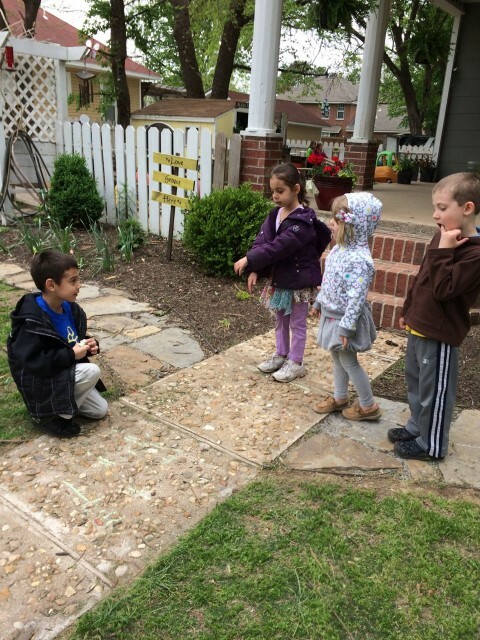 More of the children liked the baby goose. 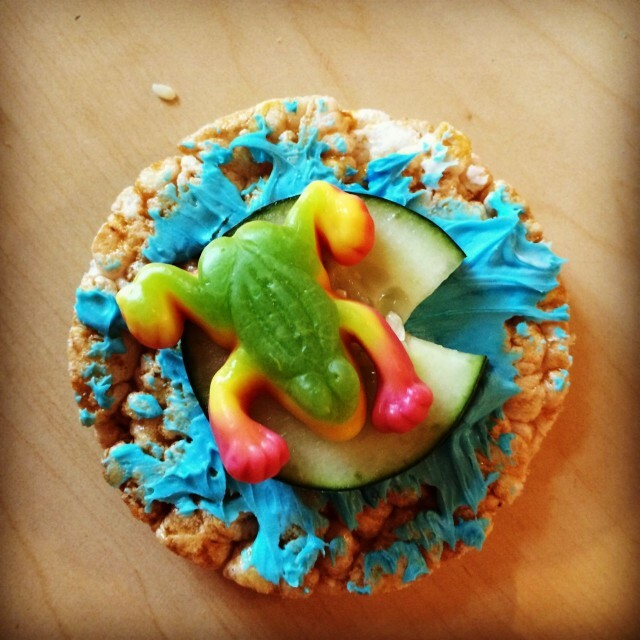 For a special snack today we made these cute frog on a lilly pad treats. CUTE CUTE CUTE ! 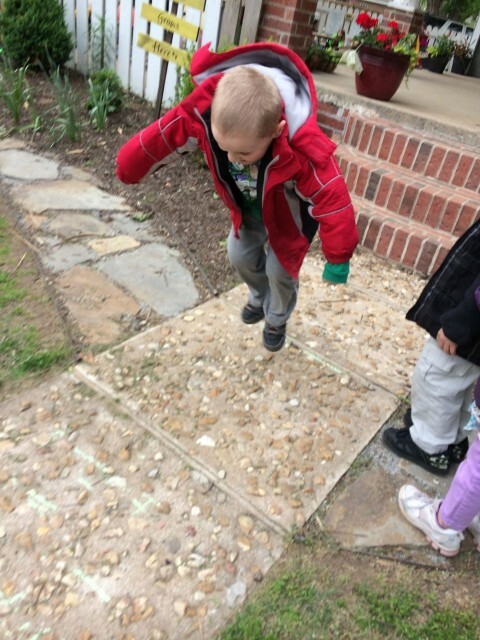 We even extended our learning outside and pretended to be frogs to see how far we could jump with both feet together like a frog. Jump Frog Jump. Jump Friend Jump. So, it looks like we had a pretty busy and exciting day, right ? Let me share what was the most exciting thing that happened today. 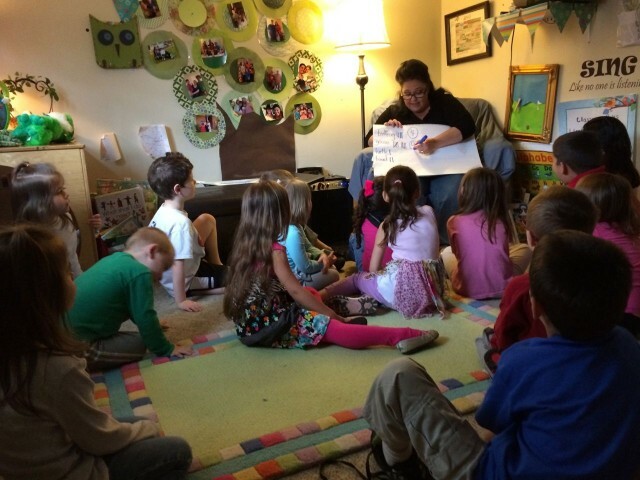 As the children talked to Shauna they would ask her questions. I would say ” Does anyone have anything they would like to ask Ms Shauna ? ” In the past with other visitors they would make statements. ” I like fire trucks.” I have a dog at home” etc… Today, each time a child raised their hand to ask Ms Shauna something it WAS A QUESTION !!!! The older kiddos are no longer making statements . They are asking who, what and why ? It was one of those teacher moments that you go DING DING DING!!!!! We are getting there. Thanks Shauna and Kaden for bringing your pond animals.